As part of my area of research, I've been asked to look into web hosting, how it works, what it costs and all the ins and outs of hosting, but, more importantly how it can be applied to our team/company. "A web hosting service is a type of Internet hosting service that allows individuals and organisations to make their website accessible via the World Wide Web. Web hosts are companies that provide space on a server owned or leased for use by clients, as well as providing Internet connectivity, typically in a data centre. Web hosts can also provide data centre space and connectivity to the Internet for other servers located in their data centre, called colocation, also known as Housing in Latin America or France." The basic job of web hosting is to provide the accessibility to a website by making it readily available to the public, by hosting the files which contain the website's date. Basically. "The scope of web hosting services varies greatly. The most basic is web page and small-scale file hosting, where files can be uploaded-via File Transfer Protocol (FTP) or a Web interface. The files are usually delivered to the Web "as is" or with minimal processing. ManyInternet service providers (ISPs) offer this service free to subscribers. Individuals and organisations may also obtain Web page hosting from alternative service providers. Personal web site hosting is typically free, advertisement-sponsored, or inexpensive. Business web site hosting often has a higher expense depending upon the size and type of the site. Single page hosting is generally sufficient for personal web pages. A complex site calls for a more comprehensive package that provides-database support and application development platforms (e.g. PHP, Java, Ruby on Rails, ColdFusion, or ASP.NET). These facilities allow customers to write or install scripts for applications like forums and content management. Also, Secure Sockets Layer (SSL) is typically used for e-commerce. The host may also provide an interface or control panel for managing the Web server and installing scripts, as well as other modules and service applications like e-mail. Some hosts specialise in certain software or services (e.g. e-commerce), which are commonly used by larger companies that outsource network infrastructure." Web hosting requires a hosting computer, if you're able to host your own website, however, you need to assure you're connected to the network at all times, which means having a reliable ISP. Otherwise, the site will appear down, and the users will be unable to access it. As website I've used in the past to host some of websites i've created is wordpress. 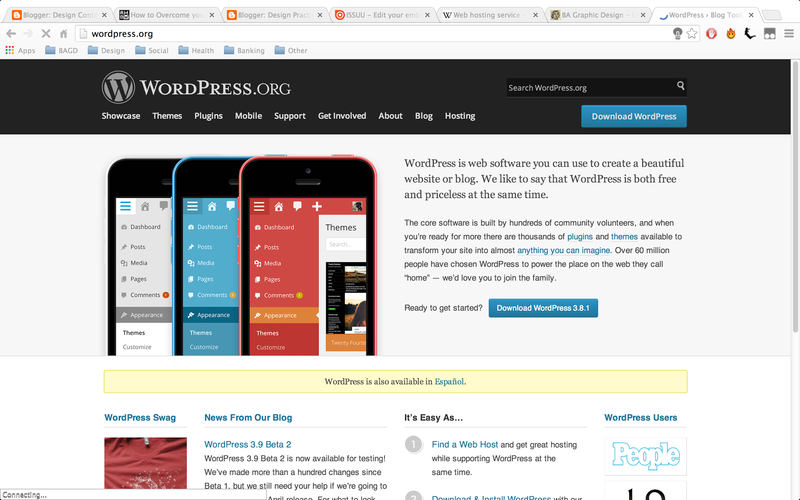 Wordpress host blogs and websites, and offer a series of templates and default layouts for those who wish to use the site. When you're creating your website, you can download wordpress and install it to your website, then you upload the files for the site, and wordpress hosts it for you. Alternatively, you could choose an existing template on wordpress and customise the HTML and CSS to suit your needs. Wordpress offers an interface where you're able to easily manage your website, this is known as a content management system. Wordpress also offers plug ins, such as e-commerce, which I've used to create a web store in the past. 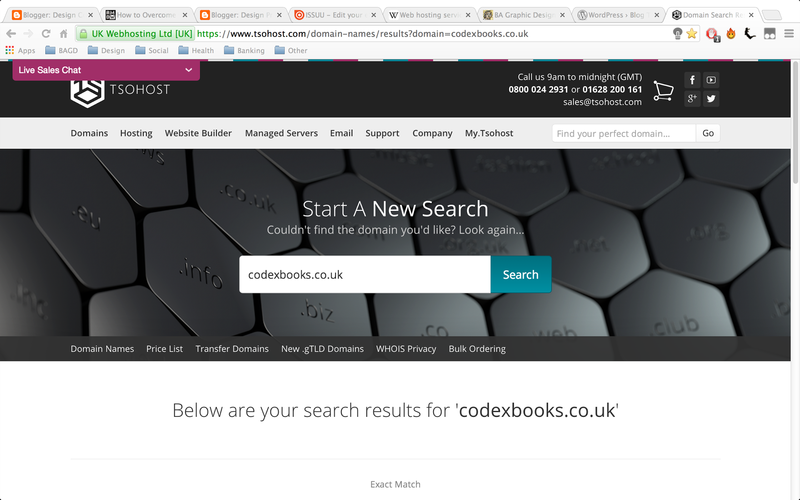 Domains can be purchased from third party sites, then applied to websites. An example of a domian supplier is TSO Host, who I also use to obtain my domains, they offer one click wordpress installs, which allow you to transfer the domain address to your website, easily and quickly.